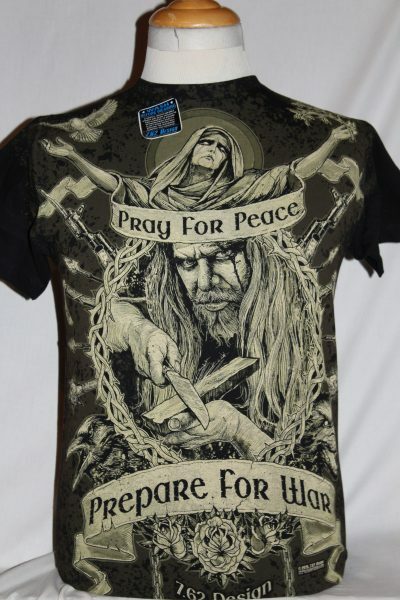 The Pray For Peace Prepare For War T-Shirt is single sided print in black. Front Design Only: Saint with dove and olive branch. Warrior preparing for battle with AK's, ancient weapons, and text.